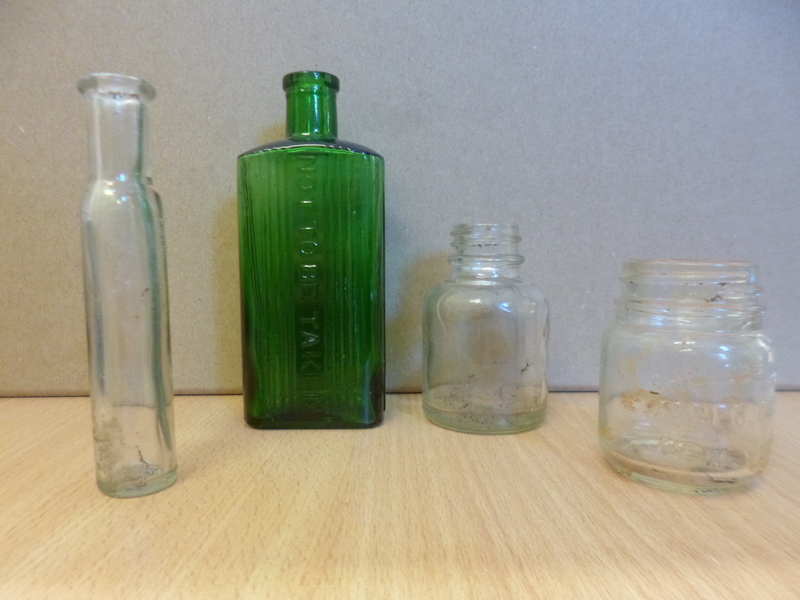 This pretty selection of bottles was found recently, and whilst they may not be the oldest artefact we have ever found, still have a story to tell. The first thin, tall bottle would have been a pharmaceutical vial. When held up to the light it has a slight purple tint – this is usually due to the use of manganese dioxide as a decolouriser and possibly some exposure to sunlight. The green ‘not to be taken’ bottle caused some remarks when we then ‘took’ it from the site back to the office. Whilst it probably contained a liniment or embrocation, the makers were determined it would not be taken internally by accident. The dark green colour mimics the colour of a poison bottle, and the raised lettering makes it distinguishable by touch even when it is too dark to see. The third bottle is a A Mabie Todd & Co. Ltd. Swan ink bottle. Whilst originally an American company based in New York, a London Office was bought in 1884. By the end of the 1930’s, they were manufacturing pens in their London factory, gold nibs in Birmingham and ink in Liverpool. Indeed, they became the largest producer of gold pens in the world. However, their success was short lived, in 1956 Swan pens was closed down. The last bottle has a similar story, but as a Vaseline container. This was produced by the Chesebrough Manufacturing Company, once again in New York who had the patent for Vaseline. However the company expanded to its London Office 1924. After a couple of merging’s, this is part of the Unilever empire today.